Aaron Pinto, Private Pilot Flight Test, Langley Flying School. 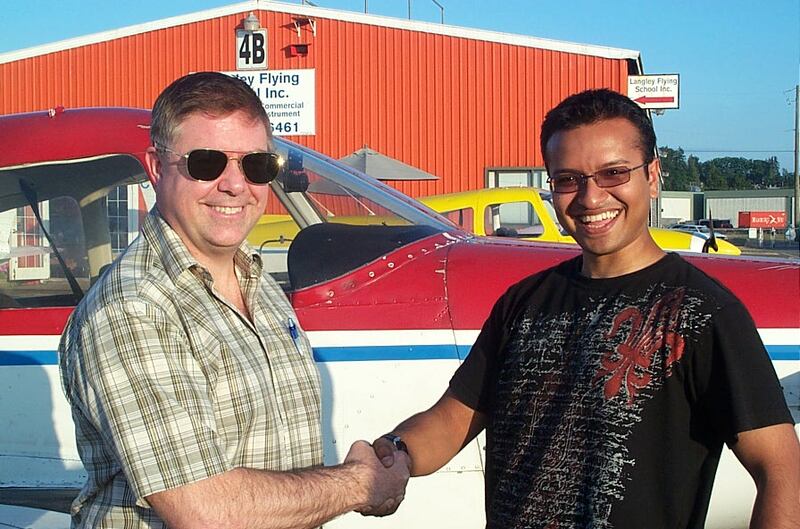 Aaron Pinto receives congratulations from Pilot Examiner Jim Scott after the successful completion of Aaron's Private Pilot Flight Test on July 22, 2008. 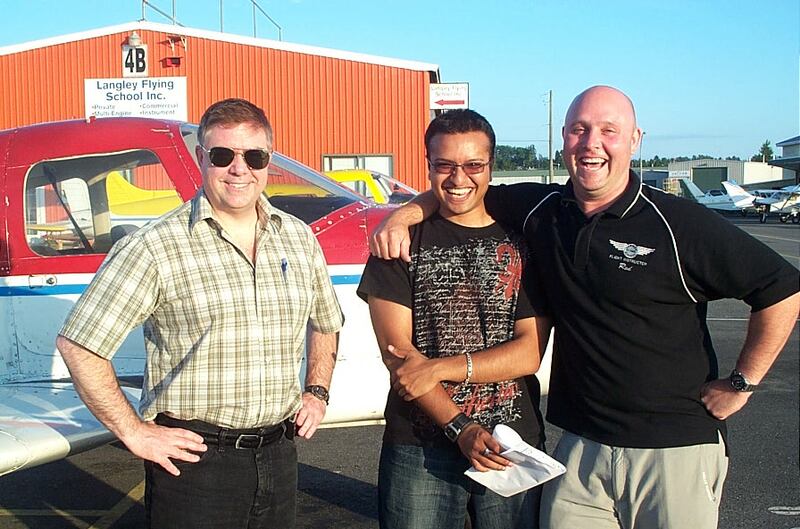 Congratulations also to Aaron's Flight Instructor, Rod Giesbrecht .